It is increasingly unlikely that people will stay in the same role in the same industry or company for the rest of their lives. With this has come the rise of flexible working and the proliferation of portfolio careers. This has been claimed to provide workers with autonomy, provide opportunities for creative output and greater ownership. But what are the realities of building a portfolio career? How does that work for women building a career in FinTech? Our panellists all work in FinTech currently but have different career paths and experiences along the way. Join us to hear their perspective and experiences in this webinar discussion. Even though VC investment into UK FinTech has grown exponentially in recent years, reaching $1.8 billion in 2017, women still only raise a minute percentage of this. A recent study by Boston Consulting Group (BCG) and Mass Challenger, a network of startup accelerators, found that when women applied for investment, they received less funding compared to the average male founder, but made double the revenue. Our panel of CEOs in leading FinTech firms and investors will look at how women in FinTech are raising funding. Who are the funders? What are they looking for and what needs to change? Do women need to rely less on traditional modes of finance or are more dynamic options available? Marcus Treacher focuses on driving Ripple’s engagement with financial institutions and payment providers around the world. He can explain how Ripple is partnering with global institutions to power global payments and fund liquidity, and would be interested in discussing the trillion-dollar cross-border payments problem, the XRP use case, and how Ripple is moving money around the world right now. Chris is a world renowned FinTech commentator, and is the top-selling author of Digital Bank. He is chair of the European networking forum, and was voted one of the Top 40 most influential people in financial technology by the Wall Street Journal’s Financial News. Chris’ new book Digital Human is being launched on the day of the summit, and he would love to discuss open banking, financial inclusion, and the future of money. Alipay, operated by Ant Financial Services Group, is the world’s largest mobile and online payment platform. Launched in 2004, Alipay currently has more than 520 million active users. Li Wang leads the business in Europe, and can discuss how the brand is evolving across the continent, the overseas spending habits of Chinese travellers, and how European merchants can tailor their services in order to capitalise on the Chinese tourism boom. Join us for this webinar interview live form the Innovate Finance Global Summit where Bipin Sahni, EVP, Head of Innovation and R&D at Wells Fargo discusses which new innovations are actually working for banks and which are not quite there yet. From blockchain, to AI and machine learning, tune in as Bipin shares how he helps startups refine their potential breakthrough technologies for financial services. Tune in to this live webinar interview where Thomas Eyre and Gregor Mowat of Nooli, a financial inclusion FinTech business. We all know that early adopters and trendy millennials in London love FinTech, but the reality is, most others either have no idea we exist or simply don't care. How these people will take to the idea and implementation of open banking solutions will be interesting. Closing the FinTech gender gap remains a priority for Innovate Finance. We want to ensure female leaders play a vital role in creating better financial services for our communities. Although we have a lot of work to do to support more female FinTech founders and CEOs we should not overlook the contributions that women already play in our ecosystem. Many institutions that support FinTech companies – including regulators, professional services groups, government organisations and marketing specialists– are headed up by women. Together they are driving FinTech forward and helping to create one of world’s most successful business sectors. Join us as we speak to some of these women on International Women's Day 2018. 2017 VC investment into UK FinTech saw its best year on record, with $1.8 Billion of capital invested, a 153% increase YoY. Innovate Finance speaks to some of the companies who received the biggest rounds of capital this year and discuss not only the round but how the structure of the round benefits the firm - hint, it isn’t just about the capital. We then look ahead- will 2018 follow this trend? The FinTech industry has become quite the saturated market with many companies claiming to bring the next revolutionary product that will disrupt the Financial Services industry. But to be able to stand out in the crowd, both start-ups and incumbents need to remember that it isn't all about the tech. Being smart about your marketing and branding, growing and building a community of followers, and creating regular relevant content, are all important ingredients in achieving success in the world of FinTech. Artificial Intelligence and Machine Learning has the potential to transform Financial Services, but so far we have seen few successful use cases. Is 2018 finally the year this technology turns from hype to reality? Which FinTechs are utilising AI best to serve the end consumers and what are the challenges that come with this? Can incumbents see past chatbots and start implementing intelligence products and solution that will make a real impact on their business model? 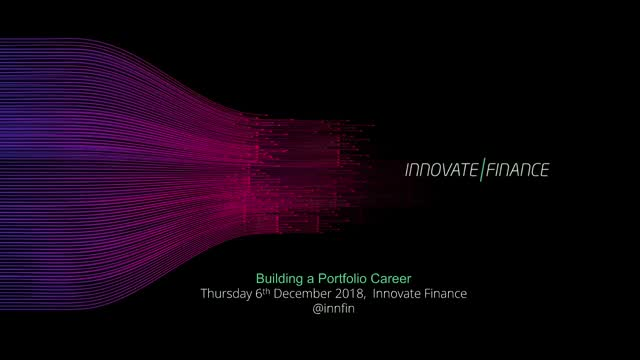 As part of its IFGS 2018 Webinar Series, Innovate Finance will host a discussion looking at the current and potential future impact of AI technology in Financial Services and hear from companies leading the way. FinTechs have their hands on the latest financial innovation but have they done enough future proofing to tackle cyber security risks? As part of its IFGS 2018 Webinar Series, Innovate Finance will deliver a discussion that examines the implications of cyber security risks on the new world of FinTech and some of the technological innovations used to combat the threat of cybercrime. Join us live at the FinTech Growth Forum where we'll interview Arvind Desikan, CMO of Pockit, which gives banking-style services and the power of e-commerce to the financially underserved. Aside from talking about the challenges and nuances around financial inclusion, Arvind will also talk go over how FinTech can be much more than just a cool buzzword for the hipster generation. To ensure the seamless digital experience clients expect, banks are employing innovative solutions to provide better customer experience and derive more insights from customer data. In parallel, digital transformation creates opportunities for cost reduction, particularly as compliance costs have put pressures on banks’ bottom lines. Banks must radically reduce costs in order to invest in the technologies, business and operating models that can unlock the power of their data and create value for all stakeholders. RegTech and Cognitive Technology: How can Banks adapt quickly & efficiently to changing regulations using cognitive technology that can learn & adapt to facilitate change. The UK and the US are two of the world’s leading FinTech markets, however political and economic shifts pose major threats for current and future growth. Innovate Finance reviews the findings of an Industry Sandbox Consultation it was invited to chair by the UK Financial Conduct Authority (FCA) last April. The consultation is a global initiative that has brought together over 200 representatives from the world of finance, technology and FinTech. The findings are captured in the Industry Sandbox Consultation Report, published on May 9th. Join us as we discuss the highlights of this report and what it takes to build a successful Industry Sandbox. The webinar takes place at 2:30pm (BST) 11th May. Innovate Finance, the independent membership based industry organisation that aims to advance the UK’s standing as a global leader in FinTech and BrightTALK have teamed up to bring the latest debates, trends and thought leadership in financial technology.